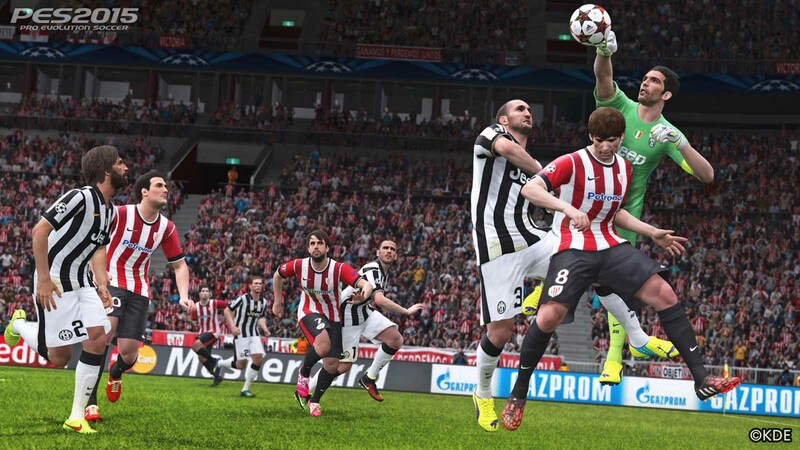 Alongside today's PES 2015 Day One Edition announcement, Konami also unveiled three new HD PES 2015 ingame screenshots, showing various close-up gameplay actions from different matches. 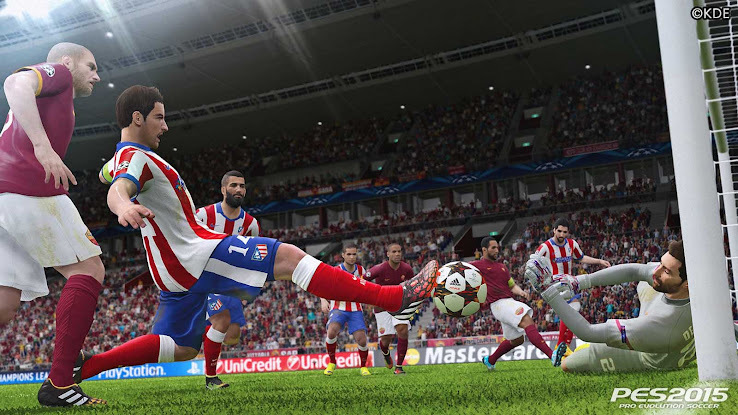 All three new PES 2015 screens feature action from CL matches and include six different teams in Athletic Club, Atlético Madrid, AS Roma, Bayern München, Juventus and Real Madrid. 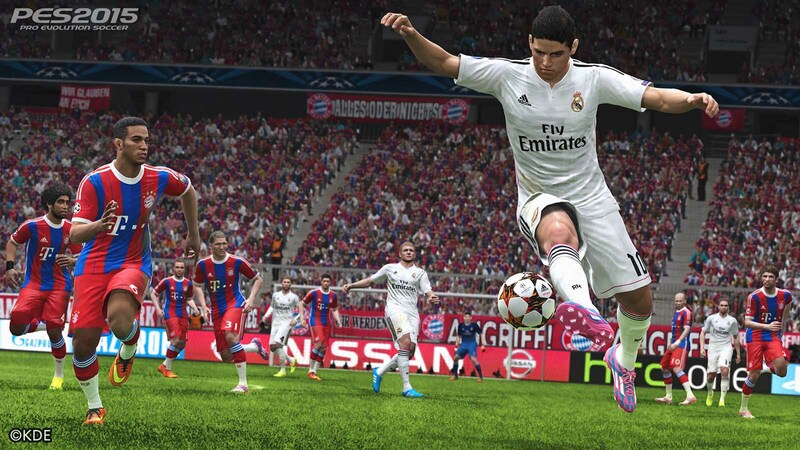 These are the three new PES 2015 screens released by Konami today. 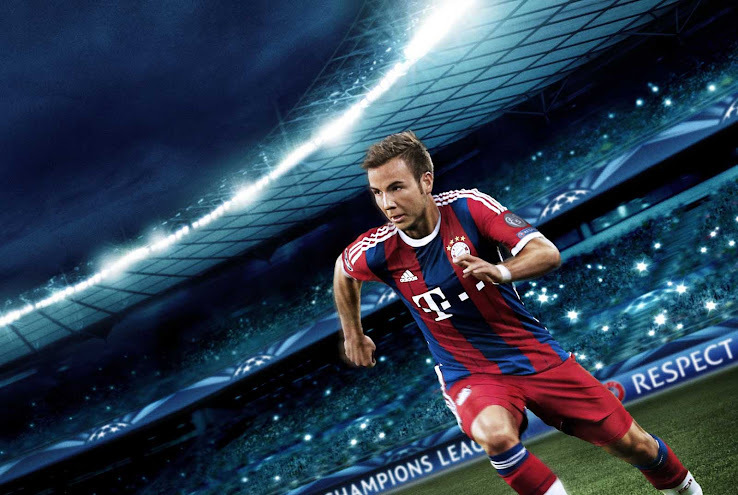 Konami also released this PES 2015 Mario Götze concept art shot, in which we can see what looks like the Olympiastadion Berlin, stadium of UEFA CL Final match 2015.